PPPpoker is another mobile app poker platform similar to PokerMaster that is rapidly booming amongst asian poker world. As other asian poker rooms it uses a playmoney application as a platform to run real money games. This scheme avoids local regulation laws and allows players from China to get access to cash games. Being only a poker software, not an operator itself, in order to play in the poker room, players should make deposits and cashouts via agents. 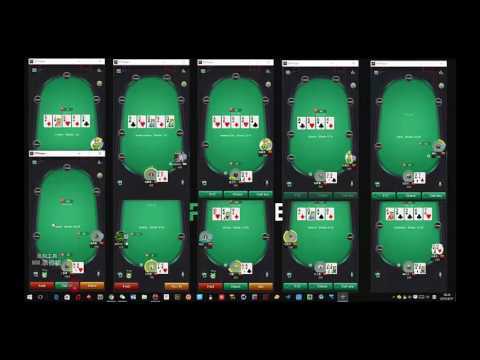 PPPoker software allows players to play from iOS, Android and PC. Its very stable and easy to use. Some professional features are unavailable as PPPoker is mainly targeting amateur players from Asia. Worldpokerdeals welcomes players from around the world and accepts deposits / pays cashouts with convinient wallets: Skrill and Neteller. Traffic is growing fast on PPPoker this days attracting lots of new players from Thailand, Macau, Singapore and other smaller markets. At the peak hours you will find 6max tables of NL200 Nl500 Nl1K Nl3K runing as well as Pot Limit Omaha at stakes of: 200, 500, 1K$. All the deposits and withdrawals are conveniently handled through Worldpokerdeals. We offer regular transfer methods for our players: Skrill and Neteller. All the popular currencies are supported. Withdrawal process takes up to 2-3 days on Skrill / Neteller. Big sums (from $5K) - up to 7 days. To order a deposit and cash out you need to send a request to our manager PPPoker in Skype. Note! there is a cashout commission on profits! To know the actual rate please contact our manager. We can guarantee this fee is the lowest you will find in the market. To make this deal not only profitable but also safe, we offer a full funds guarantee to all our Worldpokerdeals players in PPPoker. PPPoker charges the lowest rake (5% 3bb cap) on the market of Asian poker rooms. Top stake is NL/PL 3000$, but we expect poker room to add higher stakes soon. There is no way yo use trackers but lineups are extremely weak as in all Asian poker rooms. If you are interested and would like to multitable in PPPoker with up to 40% of rakeback, sign up today an get in touch with our manager through Skype for all room related questions.